Tales of the Legion of Super-Heroes in "Mordru the Merciless!" Mordru the Merciless is accidently released from his airless vault, were the Legion had placed him years before. The Legion escape to the past to plan there attack against Mordru. 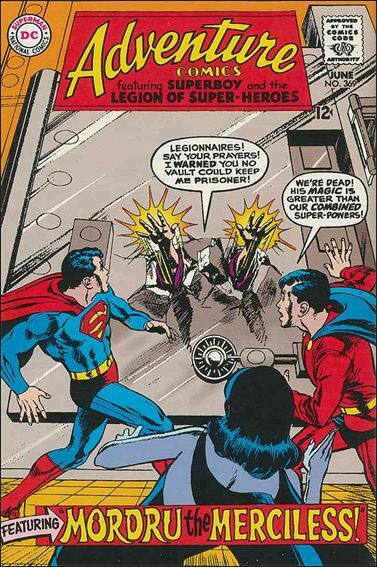 The Legion head to Smallville during Superboy's time to hide. While there thy create secret identities for themselves. Coming out of hiding to aide the people of Smallville against some gangsters, Mordru who has spies in Smallville sees them and comes to Smallville to take on the Legion.